The programme will allow an “increased cohort” of Palestinian students to study in Ireland, the Tánaiste said. MINISTER FOR FOREIGN Affairs Simon Coveney has announced the launch of an Ireland-Palestine scholarship programme. Ireland provided €2.5 million for education for Palestinians last year, but today’s announcement sees the creation of a dedicated scholarship initiative. It will see Palestinian students able to avail of a wide variety of Masters level courses in higher education institutions in Ireland. The initial cohort will see twenty full scholarships awarded for the 2019/20 academic year. Tánaiste Coveney said increased access to education “instils greater confidence and empowers people to better articulate their own needs”. He added: “It is my hope that it will facilitate enhanced academic and professional opportunities for Palestinian students and deepen the strong bonds that exist between the Irish and Palestinian people. We look forward to welcoming an increased cohort of Palestinian students to study in Ireland this year and to growing the programme further in the years ahead. A formal launch ceremony will take place in Ramallah today, with Ireland’s representative in Palestine Jonathan Conlon in attendance. The total level of funding provided by Ireland to the Palestinian people last year was €15.38 million. 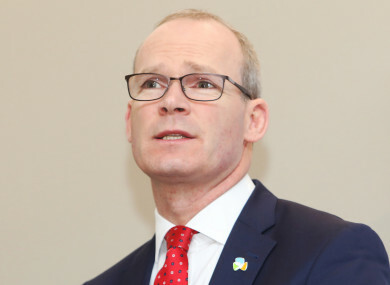 Writing in TheJournal.ie last year following a visit to the region, Coveney said: “It was obvious to me on the ground this week that the situation is unsustainable and unacceptable. Gaza is about to implode under the strain of multiple socio-environmental challenges and we are running out of time to prevent it. Email “Coveney announces launch of Ireland-Palestine scholarship programme”. Feedback on “Coveney announces launch of Ireland-Palestine scholarship programme”.